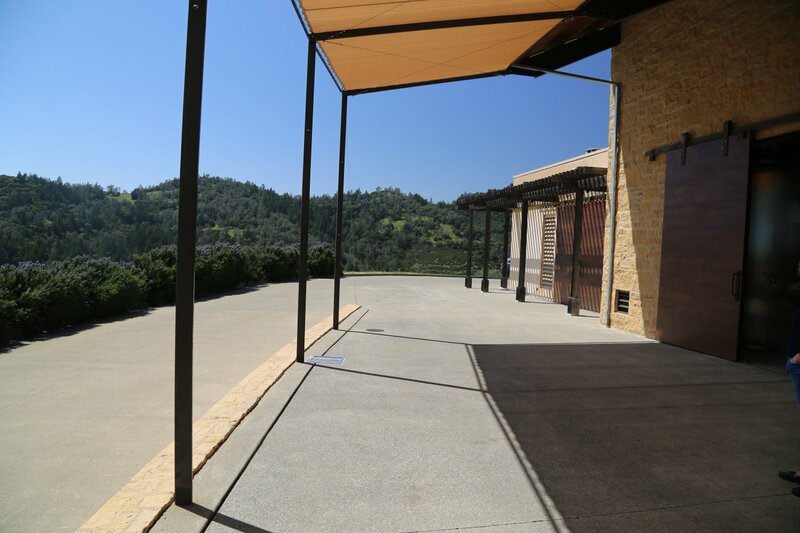 O’Shaughnessy Winery is located on a beautiful property well off the “beaten path” north east of the small town of Angwin on the slopes of Howell Mountain. Fairly isolated in its geographic location, a visit here is worth the drive. 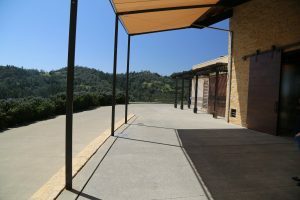 Seemingly located in the middle of nowhere, in actuality it is only about 10 minutes from Angwin (a prominent 7th Day Adventist community – whose members do not drink alcohol). Founder, Betty O’Shaughnessy Woolls, is originally from Minnesota where she worked in real estate investment and development in Minneapolis. She was also an owner and teacher of a cooking school in Minneapolis (Mrs. O’s Cooking School). She came to the Napa Valley in 1990 and settled in Oakville. Today Betty owns O’Shaughnessy Winery with her husband Paul Wools. Paul traces his interest in wine back to Roswell New Mexico, “not a wine capital of the world by any means”, as he says. He was 15 years old and sampled a number of cheap wines but found they all tasted pretty much the same – sweet and with bubbles. 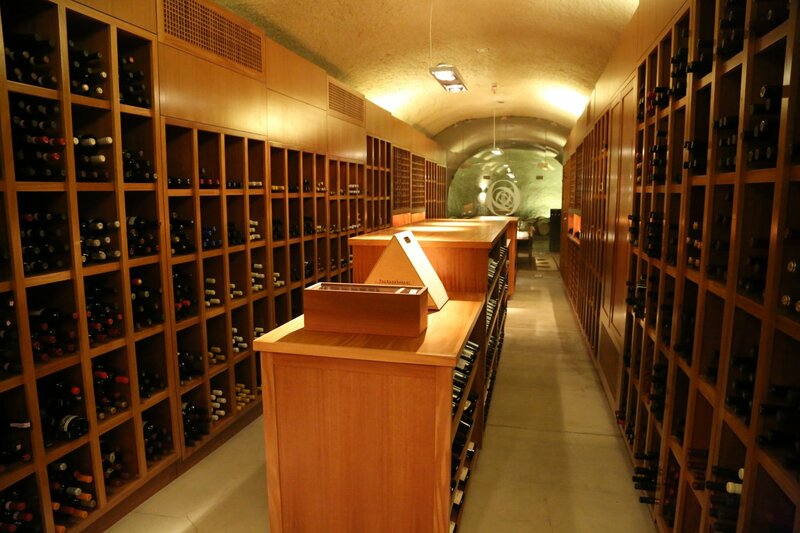 Fast forward to the early 1980’s when he was practicing law in Philadelphia – he met a collector, Robert Perna who Paul describes as “more interested in educating people about wine then making money”. 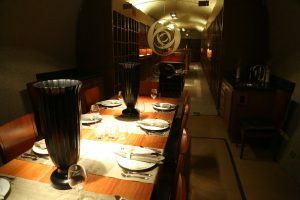 Robert offered classes under the name L’ecole de Vins (The Wine School, in English) – Paul took a number of these classes and quickly broadened his International wine education and palate. O’Shaughnessy produced its first commercial vintage in 2000. 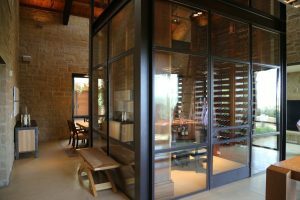 Their primary goal is to produce world-class Cabernet Sauvignon and their growing and wine making decisions are entirely centered around this philosophy. 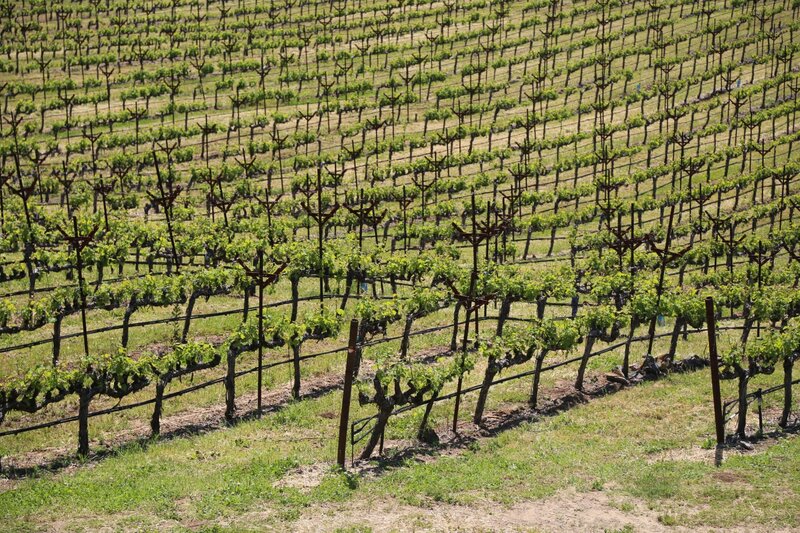 The winery sources fruit from three unique vineyard locations within the Napa Valley – all vineyards that they own. 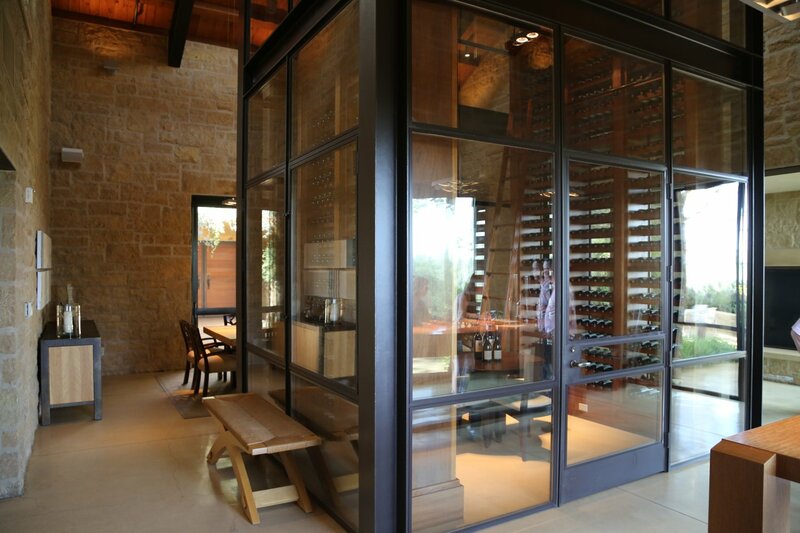 From the winery, one can only see a portion of their estate vineyard – 29 hillside acres of the 120 total acres are planted to Cabernet Sauvignon and another 6 acres are planted to red Bordeaux blending varietals. 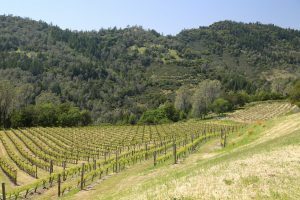 This vineyard is separated into three distinctive blocks; Amphitheater Vineyard named for its geographical feature, Rancho Del Oso, named after a local black bear and the Osprey’s Nest Vineyard. 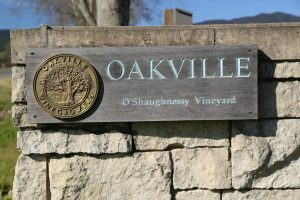 Their Oakville Vineyard is located in the heart of this appellation on Oakville Cross Road almost directly across from B Cellars Winery. 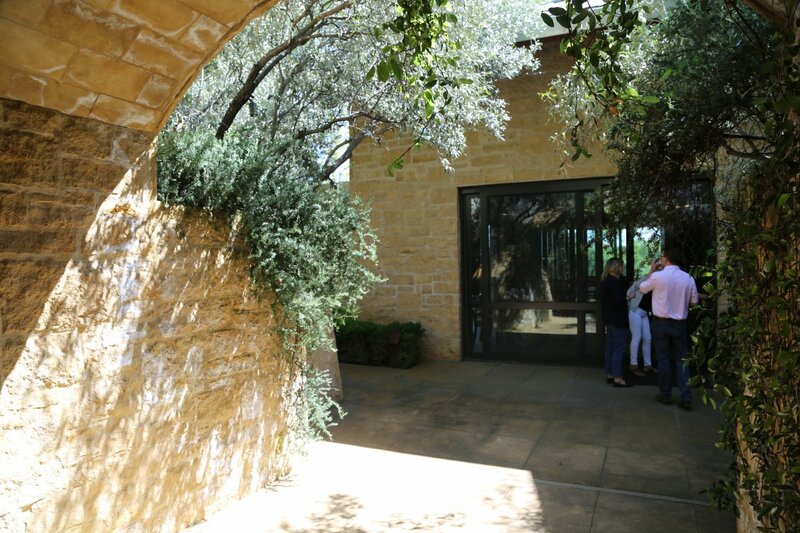 This was Betty’s initial purchase in the Napa Valley; today it is 32 acres and includes two varietals not often seen growing in Oakville, Sauvignon Blanc and Chardonnay and of course Cabernet Sauvignon. They own two vineyard sites on Mt. Veeder, a 55 acre property home to Betty’s Vineyard which Betty purchased in 2000 – only 17 acres are planted to vines. 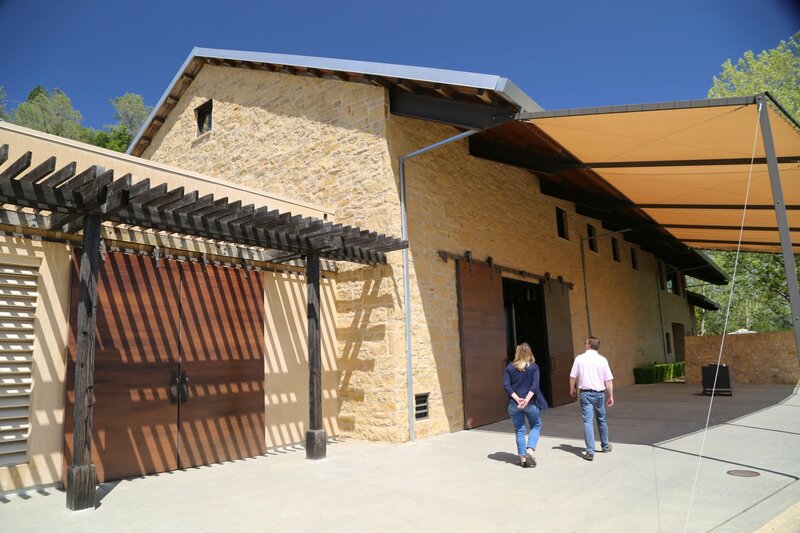 And the 265 acre Woolls Ranch which is planted to only 32 acres of vines including Cabernet Franc and several other Bordeaux red blending varietals. 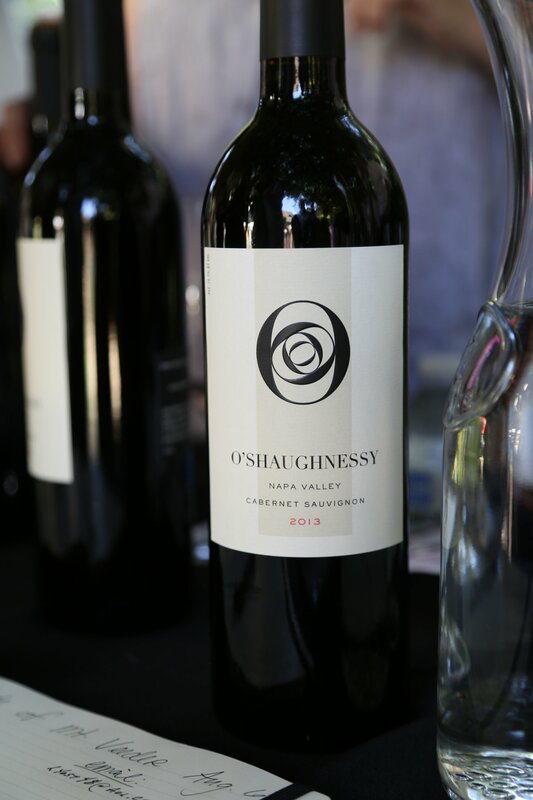 What is an extremely rare vineyard planting, O’Shaughnessy grows small amounts of three of Bordeaux’s little known red varietals, Carménère (today most known for being grown in Chile), Gros Verdot and St. Macaire (to the best of our knowledge, this is the only winery in Napa growing Gros Verdot and St. Macaire). Gros Verdot is a fairly obscure red varietal that was historically most associated with the Gironde region of Bordeaux but has been banned from Bordeaux since 1946. Known for an inherent peppery component to the varietal. And St. Macaire is such an obscure varietal these days it is difficult to even find vineyard sources. It takes its name from a small medieval village about a 45 minute drive south east of Bordeaux. 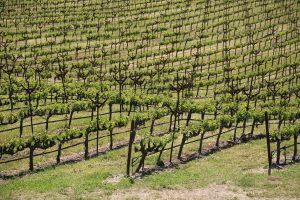 A Chardonnay from Oakville certainly piques our interest – from a sub appellation more known for its bold reds. 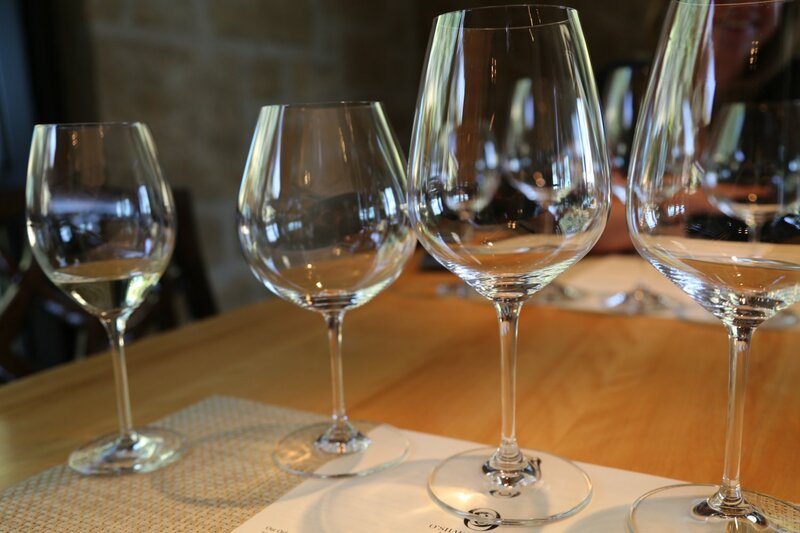 The 2016 Oakville Chardonnay was fermented and aged in a variety of vessels for 11 months including new and neutral French Oak barrels (where it was aged sur-lie), concrete ‘eggs’ and stainless steel. This wine did not go through secondary fermentation. Shows straw yellow color in the glass with aromas of citrus blossom and freshly sliced lemon. Feels nice on the palate, rounded but not creamy – anchored by noticeable acidity. Drinks very well by itself. 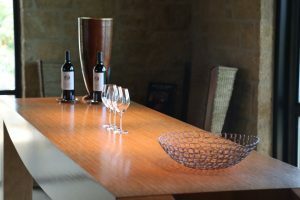 During one of our earlier visits to the property we tried the 2004 Howell Mountain Cabernet Sauvignon. Immediately one notices how dark this wine shows in the glass – foreshadowing what is to come on the palate. Black fruit mixed with tobacco shows on the bouquet, followed by flavors of cherry and currant with a finish that is like pure velvet. With a smooth soft mouth feel, good natural acidity and tannins that are well balanced, this wine drinks shows very well in its youth. The 2014 Howell Mountain Cabernet Sauvignon, while technically a Cabernet Sauvignon because it contains more then 75% of this varietal is one of Napa’a more interesting Cabernet Sauvignon wines from a blending perspective. The reason is it contains small percentages of St. Macaire and Carménère – two of Bordeaux’s lesser known red varietals. In total, this wine is blended with 7 Bordeaux red varietals. In subsequent vintages, this wine will also be blended slightly with Gros Verdot. The 2014 Howell Mountain Cabernet Sauvignon shows bright fruit aromatics including a sweetness of red fruit throughout the bouquet, along with dessert spices and at times, hints of cedar box. Shows mostly red fruit on the palate including red cherry and raspberry – the sweetness on the bouquet continues through on the palate. Very lively with good acidity – the tannins provide muscle but are not harsh – and lingers with hints of wood spice on the finish. The 2014 Mount Veeder Cabernet Sauvignon initially shows a pleasing herbal note on the bouquet, wood spice, dark chocolate along with aromas of blackberry. Mouth filling with flavor and depth this is a powerful wine. More blackberry along with flavors of boysenberry show – somewhat savory on the palate. Offers nice texture throughout from start to finish with noticeable somewhat gravely tannins anchoring a very long intense finish. 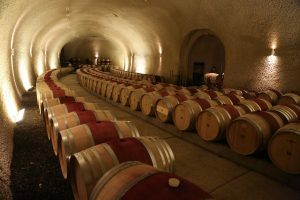 Besides the crushpad and tank room, O’Shaughnessy maintains over 12,000 square feet of caves – and unlike most Napa wineries with standardized cave heights, parts of this cave are 26 feet tall and are double the width of normal caves. The main cave room is elegant and classy and is where they sometimes hold events. 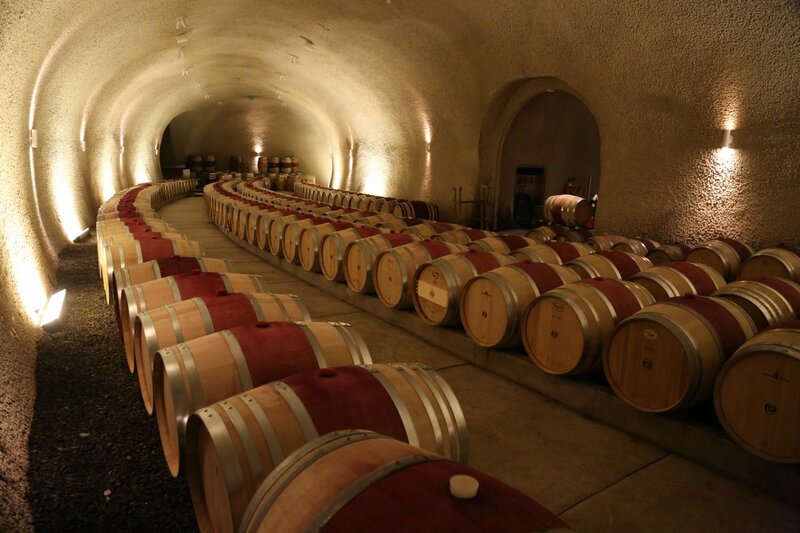 There is ample cave space so barrels do not need to be stacked – rather they are all single level. 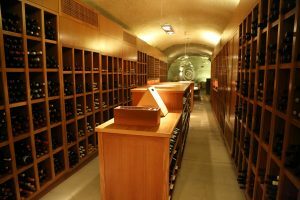 Also worth noting is the impressive wine cellar which when full contains about 15,000 bottles (during our several visits to the property, we have yet to see it completely full). Sean Capiaux is their founding winemaker; his pedigree prior to working at O’shaughness is impressive with time spent at Peter Michael Winery and Pine Ridge. 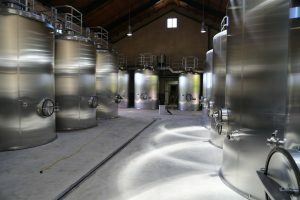 He helped design the fermentation tanks (which were built in Italy and shipped to the winery). 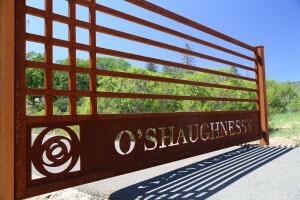 Over the years, his wines for O’Shaughnessy have earned a number of accolades and excellent ratings by respected wine critics including Robert Parker. Sean also makes his own wines on site – as of our most recent update, wines from non Napa vineyard sites are bottled under Capiaux Cellars.